The Dominican Sisters of Peace are proud to announce the Sisters who are celebrating significant anniversaries of their consecration to religious life. To make a donation to honor our jubilarians, please click here. 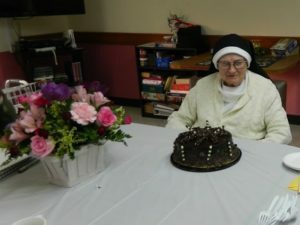 Sr. Vincent de Paul Hutton at her 107th birthday celebration in April, 2018. That’s one thing that almost every Dominican Sister of Peace who has met Sister Vincent de Paul Hutton says at the very mention of her name. At 107 years old, Sr. Vincent de Paul is celebrating 85 years of religious life, and still going strong. Sr. Vincent de Paul’s ministry reflects her times. After entering the Kentucky Dominicans in 1933, she served as a teacher and a school administrator for 50 years, bringing a love of learning to children in Indiana, Kentucky, Illinois, Massachusetts, West Virginia and Puerto Rico. After retiring from teaching, Sr. Vincent de Paul was an Assistant in the Finance Department for the St. Catharine Kentucky Congregational offices for 14 years. Today she serves her Congregation and God’s people through her ministry of prayer and presence at the Sansbury Care Center in St. Catharine, KY. Yes, I want to make a donation to the Congregation in Sister Vincent de Paul’s honor! If you want to know what happens on a Dominican retreat, Sr. Sue Zemgulis is the woman to ask. As she celebrates 25 years of religious life, she also celebrates 25 years in retreat ministry. She has served at a number of Dominican retreats, including the Dominican Retreat Center in McLean, VA; Kendall, FL, and Niskayuna, NY. 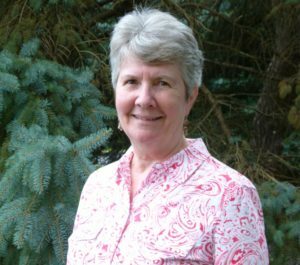 Today she serves as the Administrator of the Dominican Retreat and Conference Center in Niskayuna, NY, where she helps to plan events and maintain a place of peace for anyone who desires to grow personally and spiritually. Yes, I want to make a donation to the Congregation in Sister Susun’s honor! After earning her Bachelor’s Degree in Chemistry and Mathematics from Marietta College, Sr. Cathy Arnold started her career as a Dominican Sister of Peace as a member of the faculty at Fisher Catholic High School in Lancaster, OH. She completed her novitiate at the Dominican Novitiate in St. Louis, MO. 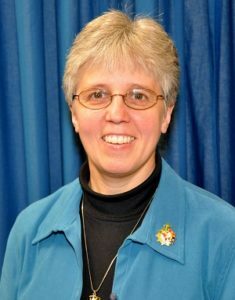 Upon returning to Ohio, Sr. Cathy was a member of the faculty of DeSales High School in Columbus, OH until 2005, when she left to earn her Masters in Theology from the University of Dayton. Sr. Cathy has worked in Vocations and Formation for the Congregation since 2007, most recently in Akron, OH. Sr. Cathy will be moving to St. Louis later this year to serve on the staff of the Collaborative Dominican Novitiate. Yes, I want to make a donation to the Congregation in Sister Cathy’s honor! That’s what Sister Barbara Rapp, OP, Columbus, OH, has to say about living her vocation as a Dominican Sister of Peace. Sister Barbara celebrates 50 years of religious life this year, having made her first profession as a Dominican Sister of St. Catharine, now the Dominican Sisters of Peace, in 1968. Growing up in Louisville, KY, Sister Barbara attended Sts. Simon and Jude School as well as Holy Rosary Academy, schools taught by the Dominican Sisters. She was inspired by their presence in her life, but it was a comment made by her mother that seemed to be almost prophetic for Sr. Barbara. “They always seem to be so happy,” she said. And Sister Barbara says that she has found joy in every ministry since she entered religious life. Teaching was Sister Barbara’s first ministry; working with children at the Congregation’s founded schools in Memphis, TN. She served in administration at St. John Berchmans School and St. Priscilla School in Chicago, and then returned to school herself at Aquinas Institute of Theology in St. Louis. Upon completion of her studies there, she initiated the Department of Institutional Advancement at the Aquinas Institute, first as assistant to the President and later as Director of Institutional Advancement. 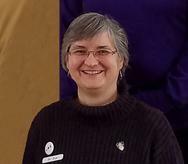 She returned to St. Catharine in 1996 to serve on the Leadership Team of the congregation until 2009. As Director of Continuing and Community Education at St. Catharine College in St. Catharine, KY, Sr. Barbara created classes for non-traditional students in the St. Catharine area, from art classes for adults to ACT prep for college-bound high school students. Since 2015, Sr. Barbara has ministered at the Congregational Offices in Columbus, OH. In her role as Donor Relations Coordinator, she has been able to use her experience in Advancement and fundraising to assist the Congregation in supporting its many ministries. She has also served on the Boards of Trustees at Ohio Dominican University and St. Catharine College, both founded ministries of the Dominican Sisters of Peace. 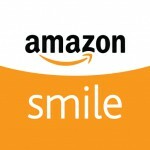 Yes, I want to make a donation to the Congregation in Sister Barbara’s honor! 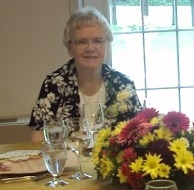 Sr. Sue McMahon celebrates her Jubilee at the Oxford, MI, Motherhouse. One of Sister Sue McMahon’s favorite travels was to the lands of Dominic. She particularly loved Siena, home of St. Catherine. This seems fitting, as Sister Sue followed St. Catherine’s advice to “Help one another by word and doctrine, and the example of good works” throughout her 50 years of consecrated life. Sr. Sue received her Bachelor’s degree from Oakland University and her Master’s from Catholic University of America. She entered the Dominican Sisters of Oxford, now the Dominican Sisters of Peace, in 1968 while serving as an elementary school teacher at St Sylvester School in Warren, MI. She continued to teach in Michigan throughout her novitiate, and then returned to study herself at Siena Heights University, preparing for a new role in healthcare administration. Sr. Sue taught religious education at schools throughout Michigan for nearly nine years. She left education in 1981 to serve her Congregation as the Assistant Administrator at the then Lourdes Nursing Home, now Lourdes Senior Community, a ministry of the Dominican Sisters of Peace. In 1989 Sister Sue left Lourdes to pursue studies regarding Senior Housing. She wanted to learn all the procedures and federal regulations governing senior independent housing. She was employed by Fourmidable Management Company, which operated and managed over fifty facilities in the metropolitan area. In June of 1990 Sister became the first director of what is now Fox Manor on the Lake on the Lourdes Campus, the independent living arm of the Lourdes Nursing Home. She spent the final years of her professional career at Lourdes Senior Community as the Vicaress of Mission Effectiveness, working to apply the Dominican identity and mission to the operations of the Center. Sister Sue is also the mother of the beautiful Vivian’s Via Rosa retreat. She identified an unused residence on the campus of Lourdes and proposed that the house be renovated as a spirituality center. She obtained resources for renovation from a benefactor in memory of the donor’s wife. Vivian’s Via Rosa is a popular retreat space as well as a “home away from home” for family members of residents of Lourdes Senior Community. Even after her retirement in 2008, Sr. Sue continued to be an example of good works, serving as a volunteer at the Congregation’s St. Mary Retreat House, at the Lourdes Nursing Home, and at the Dominican Sisters of Peace Oxford Motherhouse. Sr. Sue McMahon continues her years of service to God ’s people in her ministry of prayer and presence. As she walks the halls of Lourdes each day she carries her rosary and prays for all of us. Yes, I want to make a donation to the Congregation in Sister Sue’s honor!